Kit includes: (4) Wrought Iron Straps, (2) top and (2) bottom cross braces, and center post. Top and bottom cross braces assemble with lap joints. 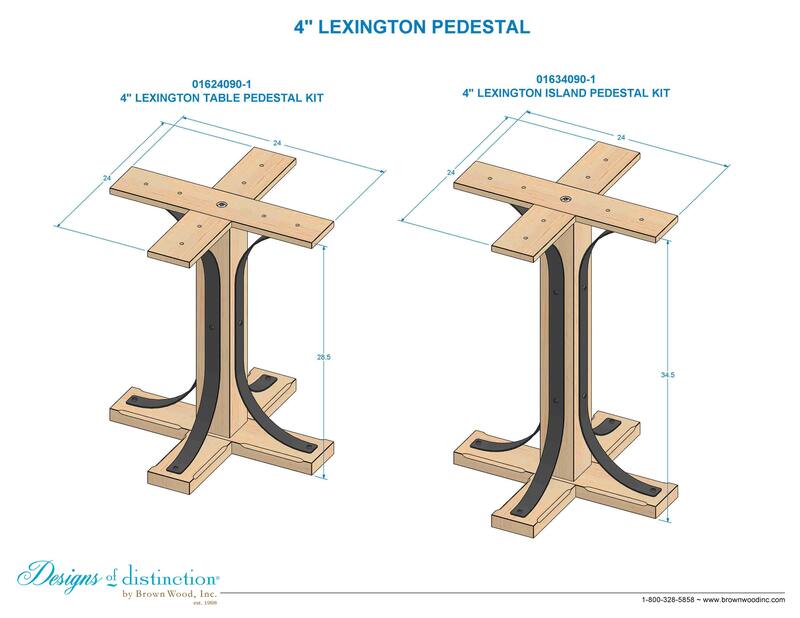 The Lexington Pedestal Base brings the strength of steel with the warmth of wood to all your designs. Featuring mixed materials, the Lexington Table Base Kit includes laser cut and powder coated steel straps with square head bolts, and solid, sturdy North American Hardwoods. The Kit comes with all necessary hardware and assembly instructions. You just add the top. All hardware needed for assembly is included, along with assembly instructions. Shop matching components in the Modern Farmhouse. Additional species and sizes available with custom quote.